Mt. Makiling is a legendary dormant volcano located in Laguna province and rises to an elevation of 1,090 m (3,580 ft) above sea level. Mt. 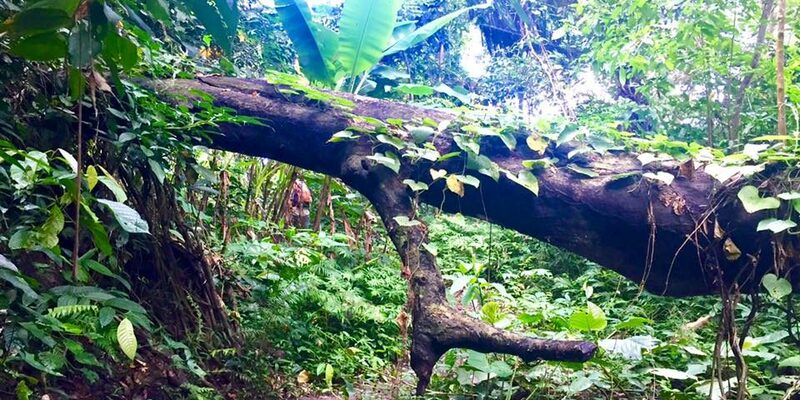 Makiling has many myths and legends written about it and as such, has become a popular hiking destination. There are three peaks and two major trails, one starting from UPLB College of Forestry and one in Brgy. San Miguel, Santo Tomas. We used the UPLB trail as it is more commonly used, which took us almost 5 hours to reach the summit (Peak 2). The volcano has no recorded historic eruptions. However, the Philippine Institute of Volcanology and Seismology (PHIVOLCS) classifies the volcano as potentially active. As a consequence, it has always been a fascination to me. I have always been determined to hike to its summit – before it erupts! When you arrive at the registration area at UPLB College of Forestry, you aren’t permitted to drive through, so you need to park your vehicle there. The first couple of kilometres of the hike are along a sealed road. However, it is after that where the real fun begins. For the next couple of kilometres, there is a fairly well-defined trail. This trail begins to gradually incline, and then the trail narrows and the incline becomes a lot steeper. As we got within a few hundred meters of the summit, it became obvious that this hike was a lot more difficult than I thought it would be. By this stage, we were literally crawling up ledges. 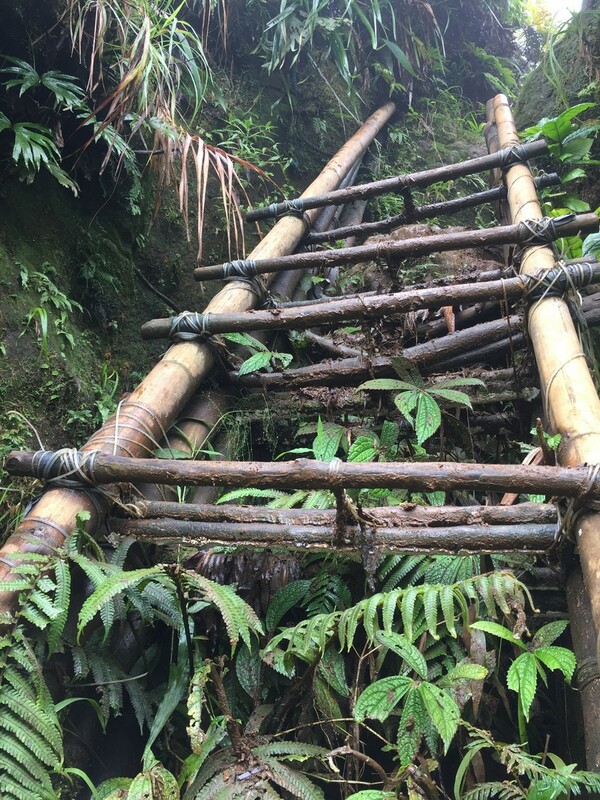 We also had to use some clandestine bamboo rails to support us, and for slipping up (and down) rocks. 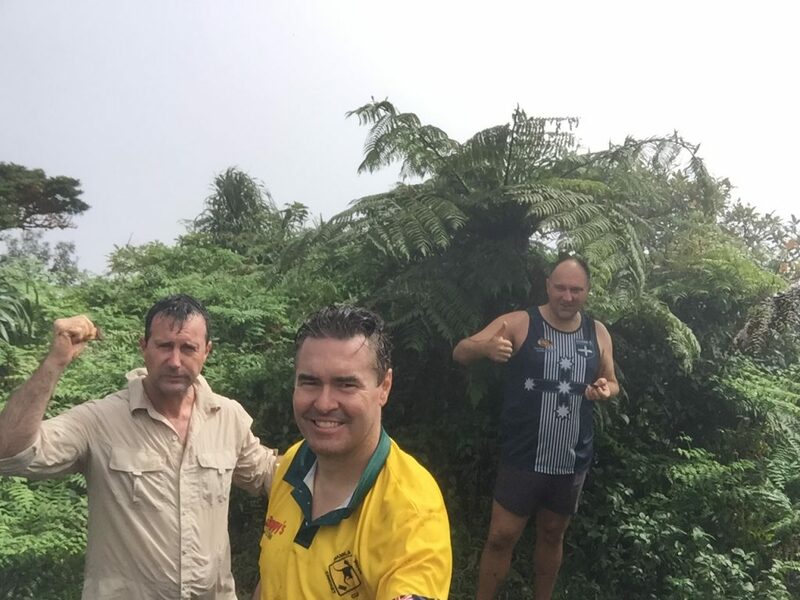 After about 5 hours of slipping and sliding, blisters, leeches, cuts, scratches and almost pure exhaustion, we reached the summit. I really felt like I had truly conquered Mt. Everest! Unfortunately for us, the afternoon cloud that usually obstructs a clear view of the peak had rolled in, and it was almost impossible to see any of the views. However, we cracked a celebratory beer and stood around for about 15 minutes taking in what we could, whilst psyching ourselves up for the trek back down. The trek back down was almost as difficult as the trek up. A few light passing showers had made the conditions very greasy and I really needed to concentrate on keeping my footing or else serious injury beckoned. After about 4 hours, and a ride back on the sealed road from a helpful motorcyclist, we made it back to the car in one piece. What a gruelling day! One of the few photos in which the peak of Mt. Makiling isn’t obstructed by clouds. It is a mountain that has always fascinated me and I was always determined to climb to the summit. 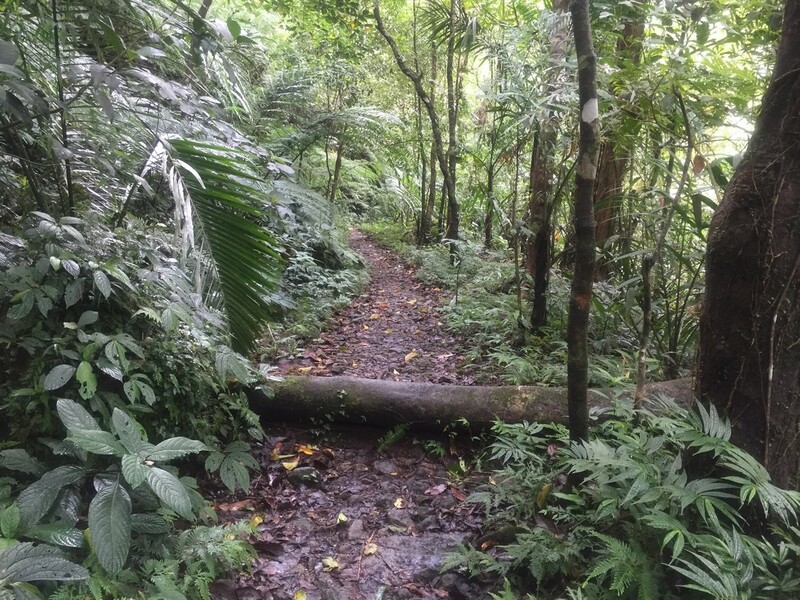 Some of the easier parts of the trail just after the Agila Base. It was to get much more difficult from here. 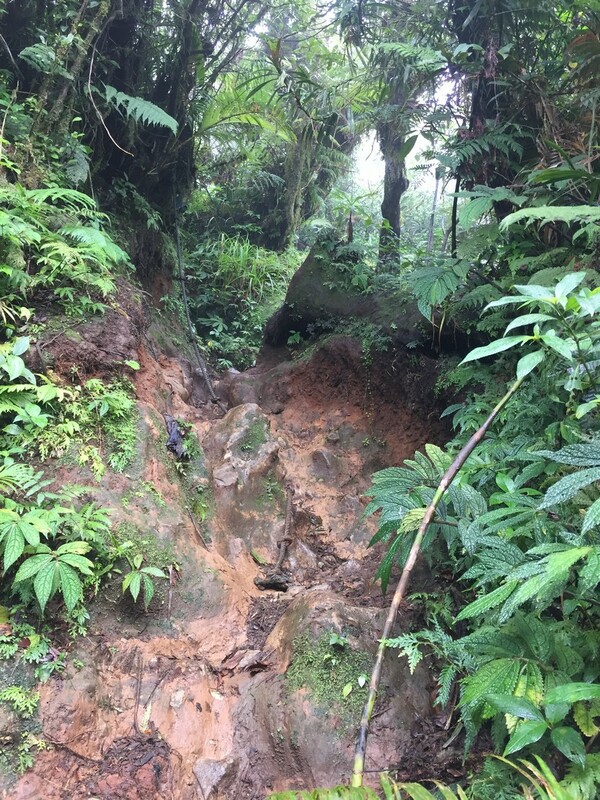 As you can see from the photo, the closer you get to the summit, the more difficult the trail becomes and you often find yourself literally crawling on your hands and knees up slippery rocks. As you get a few hundred metres from the summit, clandestine ladders such as these are more of a common sight. Being made from bamboo, they are very slippery once they are wet. We finally made it! This was easily the most difficult hike of my life to date, and it almost felt like the scene from Rocky when he reaches the top of the steps with the dramatic music playing. As you can see, there was a lot of cloud and mist blocking out any views. Entry fee for Mt. Makiling is P10/person. Mt. 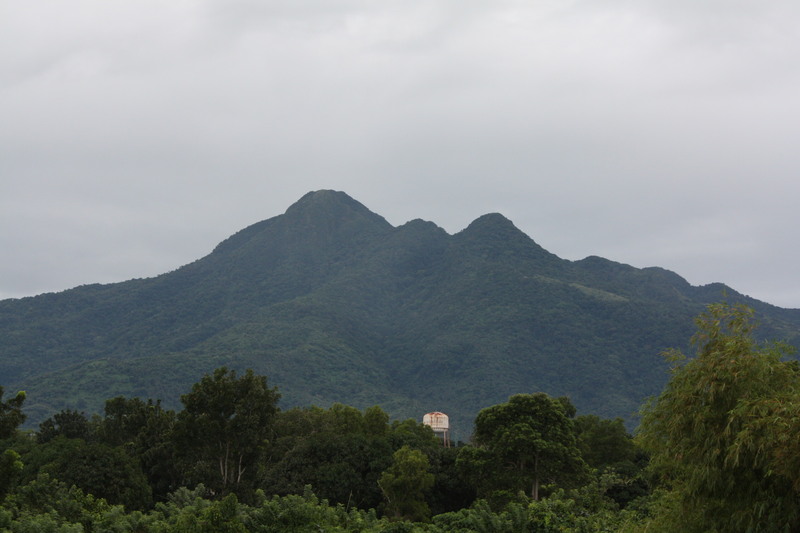 Makiling is at the bottom of the SLEX and as you drive south down the SLEX you will see Mt. Makiling standing out in all its glory. From Makati turn off at Calamba on the SLEX. All in all from Makati to the entry point at UPLB College of Forestry, it’s approximately 65kms and takes about 1.5hrs. From Buendia, you can take a bus to Sta. Cruz in Laguna for approx P600. Get off at Los Baños Crossing near Robinsons Mall and then take a jeepney to UPLB College of Forestry. Cost should be less than P100. This is a very tough hike and should only be attempted if you are fit and have at least some hiking experience. Make sure you bring some basic first aid, some band aids, betadine, cotton wool, bandages, mostly just as a precaution, but there are plenty of ways to get scratches and scrapes along the way. Also bring plenty of water and some food and snacks to have along the way. Good running shoes or hiking boots are strongly recommended.